Unfortunately, Simon Whitfield broke his collarbone in a Triathalon cycling crash. Rudy owns and runs Vx (pronounced “V Cross”). My local vegan anarchist cafe is Pogocafe; and we mentioned Ms Cupcake. I shall blog about this soon. First Choice Animals went public in an article “Meet the Real Stars of the Olympic Opening Ceremony” in the UK Independent. Update 19/8/12: I have blogged about the experiences of vegan spectators, as they reported on social media and to us. The short version is to take your own food, but check the rules first. Our thanks go to Robb Masters for the music, to Rudi for his time, and to everyone else I chased for answers and information. WHY OH WHY DO PEOPLE ALWAYS MISPELL MY NAME? IT’S WITH A “Y” NOT AN “I”? Fixed – thanks for letting me know. If it’s any consolation, Diana got mis-named in a blog post about the science of cheese recently. Thanks for asking. 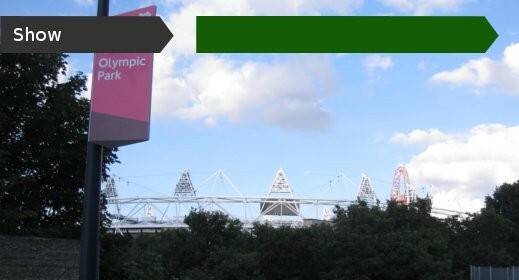 I’ve blogged about vegan food for Olympic spectators in more detail.